Imagine you are a young girl growing up in rural East Africa. You are about to set-off for your first day of primary school. The sun has barely risen. You say goodbye to your mother. You begin the long walk that you hope will lead to a better future for you and your family. Although you do not know it, you are already one of the lucky ones. 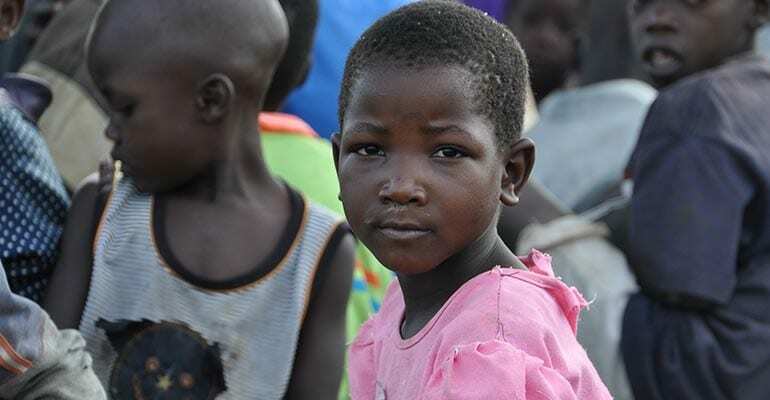 Across Africa, more than forty-two million children do not receive any education at all. Over 70% of them are girls like you. You are grateful for the chance your family is giving you. You work diligently at school. Yet, you know there are a number of hurdles you must overcome if you are going to graduate and test into secondary school. Your family lives on less than $1 a day. Your brother will soon be old enough to enter the first grade. If there is not enough money for both of you to study, tradition dictates that your brother will go to school instead of you. Even if your parents allow you to continue your studies, there is already talk of finding a husband for you. Your mother married at the age of thirteen. The same pressures may dictate a similar fate for you. A number of twelve and thirteen year old girls in your village, whose parents forbid their attending school, are already pregnant. Your education gives you a sense of self-worth and the courage to resist the threat of sexual intimidation. In addition to your core courses, you also attend health education classes. You learn about reproductive health and the importance of good sanitation in the prevention and spread of HIV and AIDS. As a result, the rates of infection among your classmates are substantially lower than in the rest of your village. You begin to pass on this information to your family, friends, and anyone else who will listen. For the first time, you dream of becoming a nurse, or perhaps even a doctor. There are other obstacles. Not long after you reach puberty, your mother runs out of money to buy sanitary napkins. You cannot go outside. You will be humiliated. You feel hurt. Only a few pieces of absorbent paper keep you from going to school. But, your teacher visits your family a few days later and gives you enough sanitary pads to enable you to return to classes the next day. Your success motivates your mother to look for ways to earn enough money to send your sisters to school, too. She joins a local savings group and uses the $5 loan it gives her to travel to a distant market where she can sell her crops for a few dollars more. Soon you are accompanied on your walk to school not just by your siblings, but by a growing number of children from your village who wish to follow in your footsteps. Inspired by your vision of becoming a doctor, you pass your exams with “flying colors”. You were the first in your family to enter primary school, now the only one in secondary school. Suddenly, what seemed like an impossible dream a few short years ago becomes an unstoppable reality. All across Uganda and Kenya today, there are thousands of young girls beginning their school careers full of potential and hope. With your support, the Teach Them To Fish Foundation will be able to help some of them fulfill that potential. The need for funds is so acute that even a small donation can positively affect the lives of hundreds of girls, and through them the lives of numerous families and their communities. “Educating girls yields a higher rate of return than any other investment in the developing world.” L. Summers, Ex-Chief Economist World Bank.